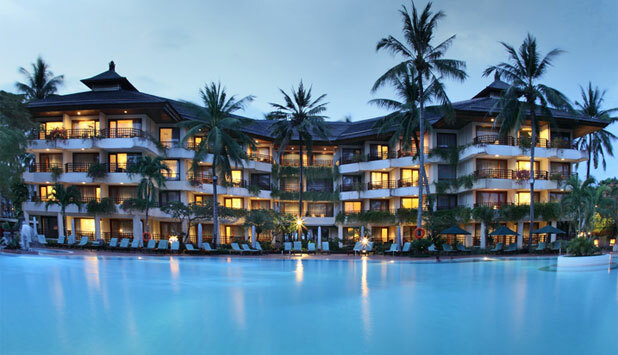 Set along one of the most pristine beaches in Bali, the Sanur Beach Hotel is the perfect gateway for those who seek to explore Bali, the famed Island of The Gods known for its colorful and vibrant temple festivals, sun-drenched beaches, rolling surf, rustic villages, and sculptured rice terraces. 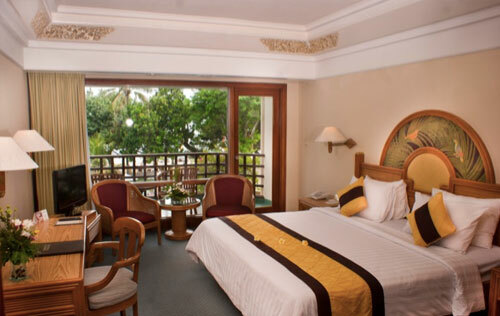 In the three decades since its first guests were welcomed, Sanur Beach Hotel has grown larger and more refined in offering its world-class facilities and services, with a tranquil location that allows you to be as laid back as you want. The hotel also comes with an array of fine restaurants and bars, modern facilities, and an endless list of activities to be done while you enjoy your vacation. 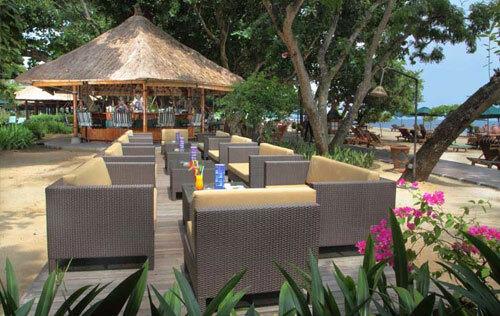 In short, a stay atSanur Beach Hotel is an experience one will always remember – and wishes to be repeated again. 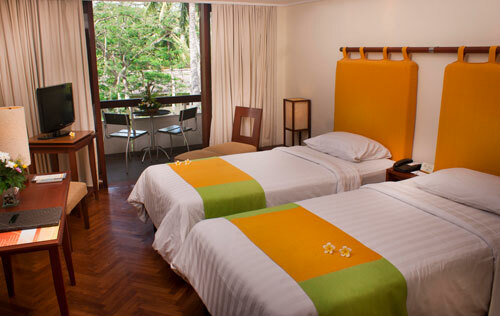 This five-star hotel is located in the most strategic area of Sanur beach and is the ideal choice for tourists as well as business people. 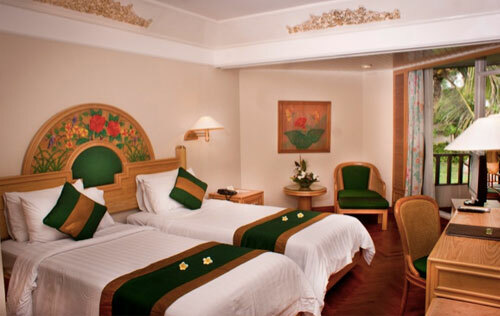 It is located only 25 minutes from Ngurah Rai airport or 15 minutes from Denpasar. 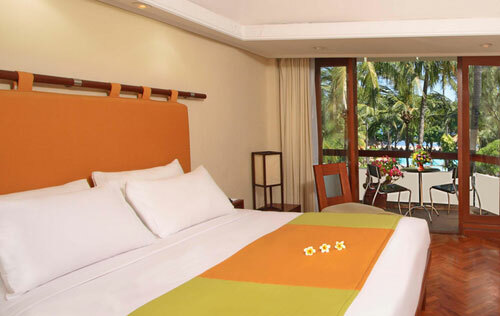 The beach in front of the hotel is wide and free from coral reefs, so guests can freely relax in the sand. 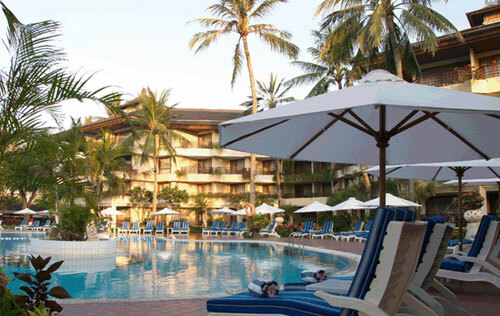 For those who enjoy water sports, there are two choices of water sport facilities, motorboat and Jet Ski at Matahari Sport on the western part of the beach, and other water sports such as sailing, boating, surfing and wind surfing at the Blue Oasis on the eastern beach. All guest rooms and suites have private balcony, private bathrooms, satellite TV with 40 channels from around the wirld, mini bar, Coffee and Tea making facilities, safe deposite box and IDD telephone. 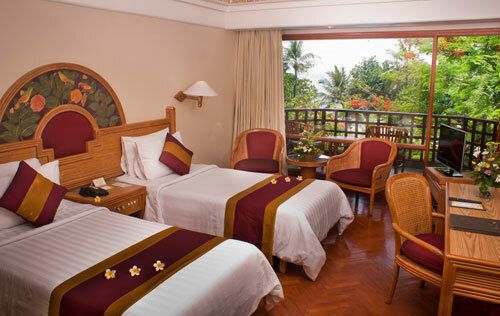 426 tastefully appointed rooms with sea or gaeden view and fully air-conditioned. 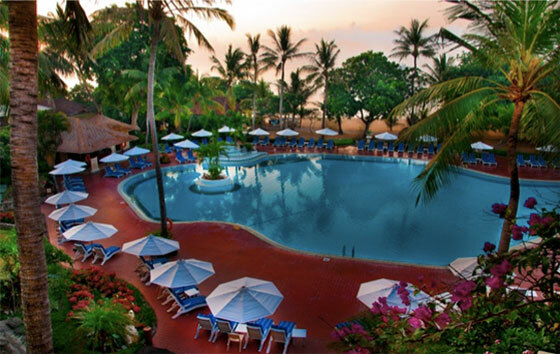 • Tirta Poolside Restaurant:Covered, open air restaurant adjoining the pools and the beachfront, serving a comprehensive selection of Indonesian, International and Oriental specialties. 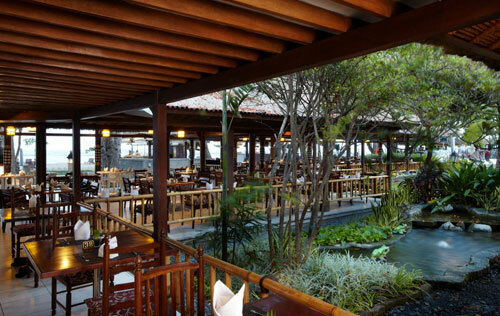 • Tirta Seafood Grill: Specializing in charcoal broiled lobster, shrimp, fish and other succulent seafood delicacies. • Basilico Italian Pavilion & Bar: An Italian specialty restaurant with authentic Italian cuisine, fine wines and tropical drinks. • Peper Latino Grill & Bar: Specializing in Latin American food, served in the traditional way. • Bambo Beach Bar: Quench your thirst with exotic fruit juices, cool beer from the tab or tropical cocktails at our swinging beach bar. • Swimming pools • Tennis Courts • Fitness Centre • Water Sport Facilities: Water sport facilities include parasailing, windsurfing, kite surfing, water skiing, jet ski, banana boat, paddle canoe, ocean kayak, sailing boat, boogie board, snorkeling, scuba diving, glass bottom boat tour and Turtle Island tour on a traditional sailing boat. • Grand Odiseus SPA: The Spa is set away from the center of hotel activities in its own tranquil world of beach front and sweeping gardens. There is a private pool on the ground where spa guests can swim and enjoy quiet seclusion. Very popular for its rejuvenating massages and aromatherapy, the spa is surrounded by lush tropical gardens with outdoor garden showers, private lounging areas, a swimming pool and spa boutique.